Modern home office and bedroom furniture using shades of grey. 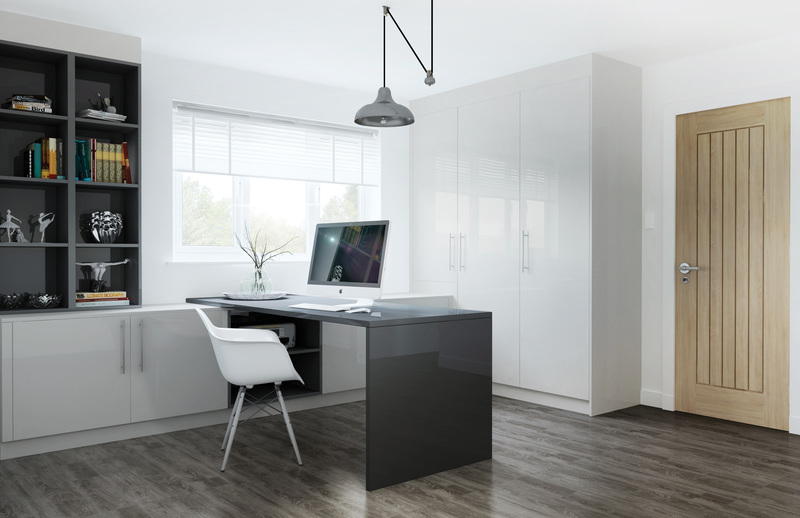 The cool Glacier Light Grey Gloss is highlighted with Glacier Graphite Gloss shelving and workspace area. All our Glacier range whether it be Gloss or Super Matt is made to measure meaning we can make the most of any room in your home.